There are not many children's programs and classes that I've found beneficial for my son. But your afterschool is remarkable. Your afterschool is nurturing and educational and I am confidently assured that when my son is in your staff’s care, he is not only safe but also receiving the necessary help he needs in his school work. Teachers at his day school voiced concerns about my son's difficulties in certain subjects, but after enrolling in your program, he showed a good deal of progress and we are proud to say he will advance to a different classroom level for his upcoming school year to allow for peer to peer social interaction that was lacking before. The student-teachers always address concerns that I bring to their attention and inform me of the progress the following day. 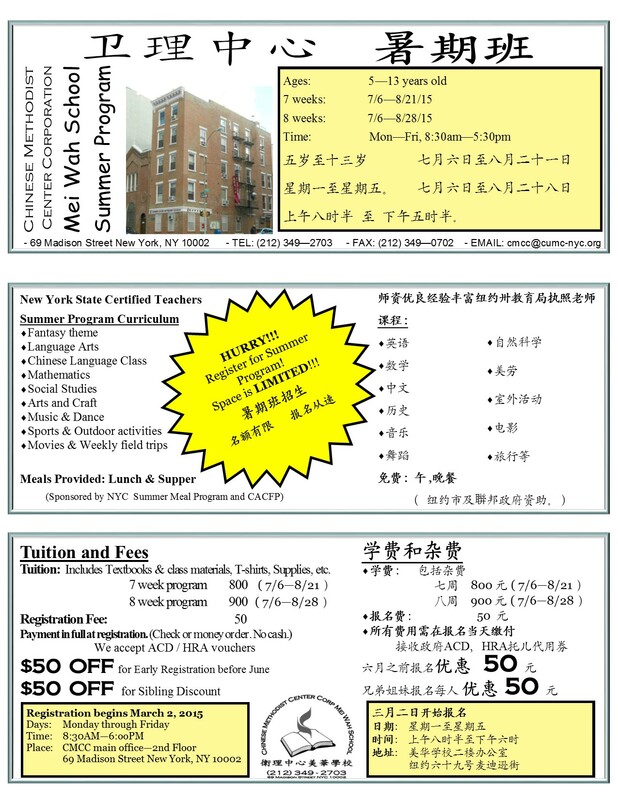 We are elated to have found your Afterschool and excited to start my son's first summer program with you as well. CMCC exists to make it possible for kids from any background to reach and excel in their academic milestones. In order to continue this mission, we are asking for your financial support. Would you consider making a tax-deductible gift to the programs at CMCC so that we can partner with parents like Carol and help their child succeed ? Your contributions will truly make a difference. Alright Parents, you have to start thinking about where and what your children will be doing this summer. 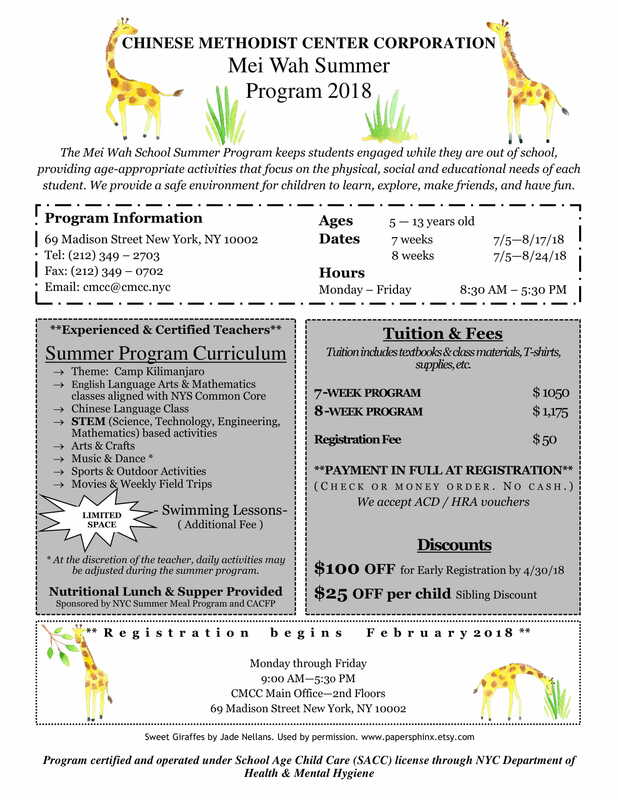 Look no further and enroll them here at 2013 CMCC Summer Day Cmp where your children will have a recreational and educational experience learning various subjects that will prepare them for the next school year. They will go on weekly trips around New York City and enjoy outdoor fun. 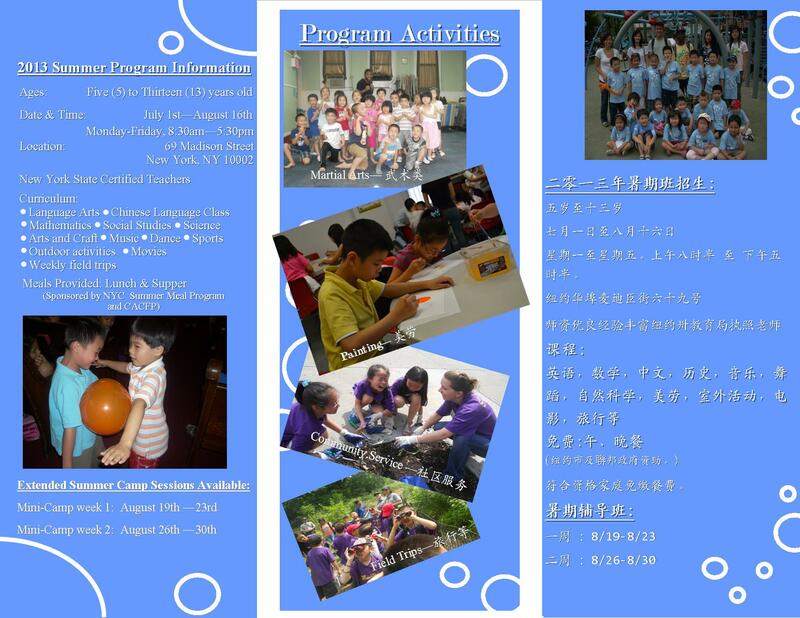 We will enjoy having your child participate in our Summer Day Camp and they will too. 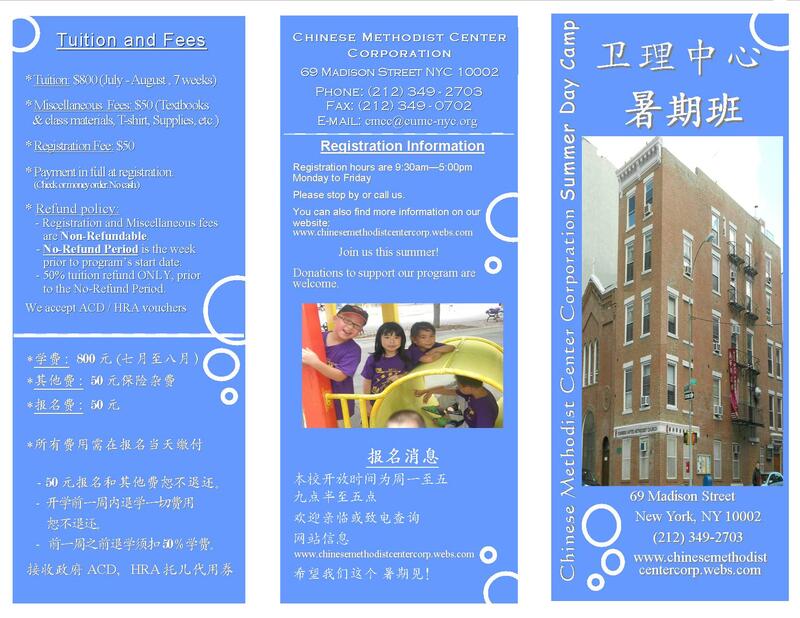 Registration for our Summer Camp will begin Monday, March 11th, 2013. Please see our Contact Us for our office hours, directions and contact information. 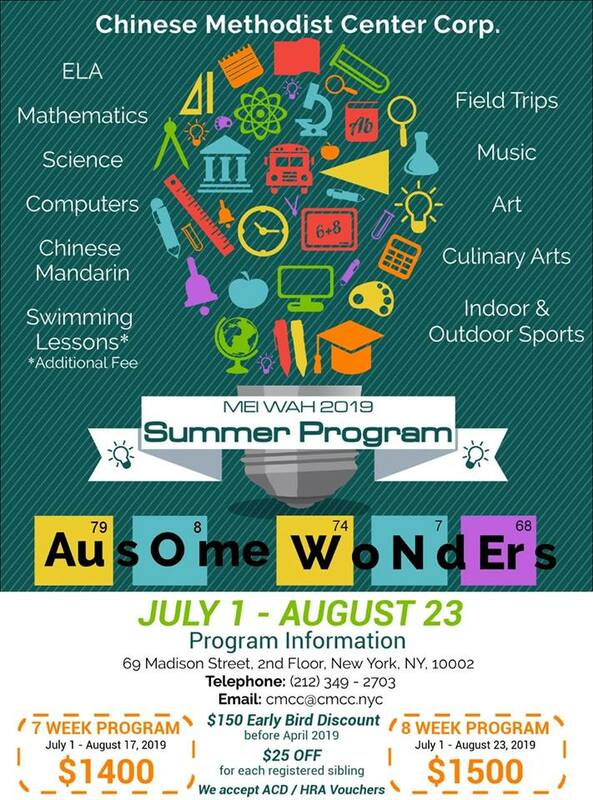 hope to see you this summer! Vacation Bible School is back this year with a medieval theme "Where Kids Stand Strong For God". 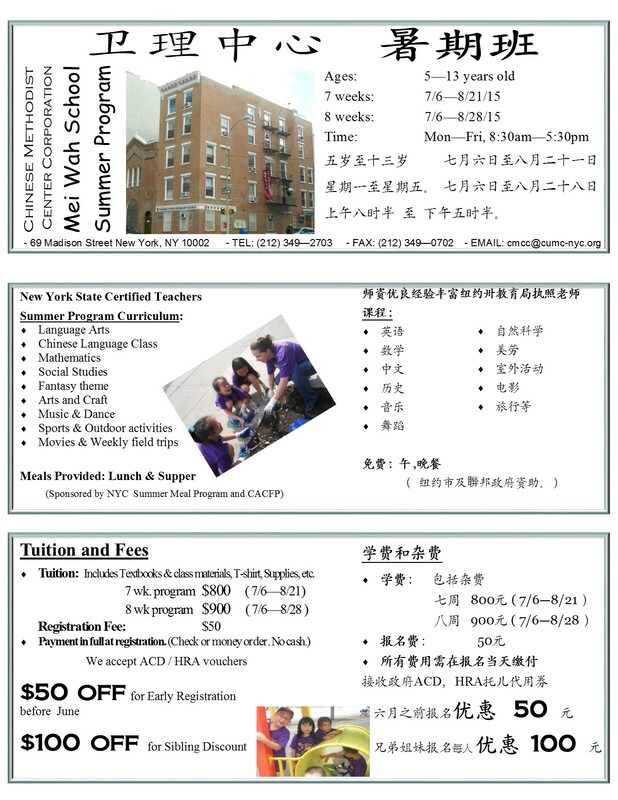 Registration has already begun and will be ending on Friday, March 8th, 2013. The VBS this year will be four days long from Monday, March 25th, 2013 to Thursday, March 27th, 2013 from 8:30am - 12pm. On the fourth day and last day of VBS, Thursday, March 28th, 2013 will be an extended longer day from 8:30am - 4pm. Lunch will be provided for that day. This program is absolutely FREE of charge so hurry and sign up at CMCC's office from 9:30am - 5pm, M - F. Go to Contact Us or Email Us to contact us during hours of operations.